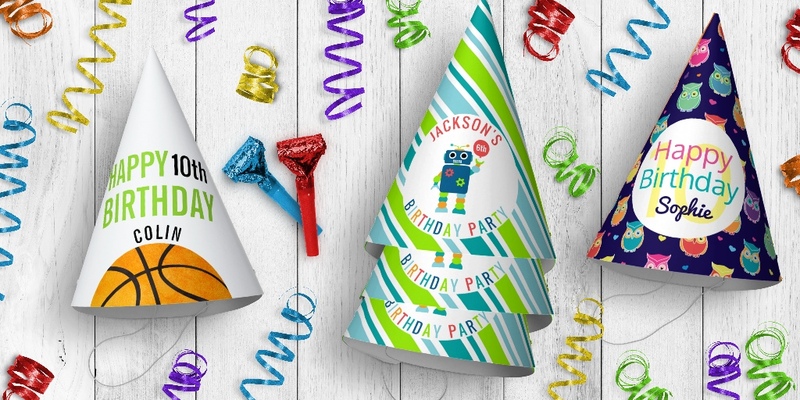 It’s your party and sure, you can cry if you want to… but why not enjoy it with fun party hats? Honor the birthday kid, complete a theme, or just make something hilarious with custom party hats. No more crying, let’s get this party started. Hats are 6″h (assembled) and have an attached elastic string to keep them securely in place. Choose from a variety of fun themes like robots, monsters, animals, kawaii pandas, and unicorns. Coordinate with our other party decor. Showing 1 - 32 of 32 products.